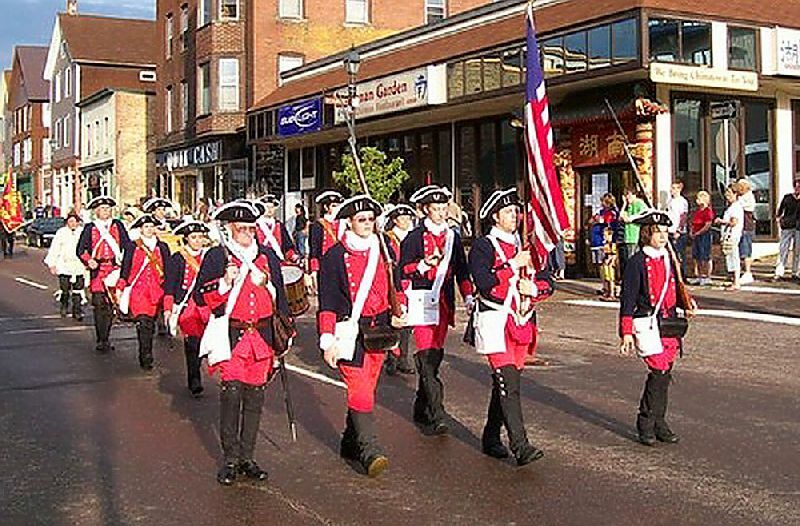 Nearly 20 years since last being held in Houghton, the U.P. Firemen’s Tournament returned. Held annually somewhere in the U.P. since 1894, the Tournament was held July 24-26, 2008. 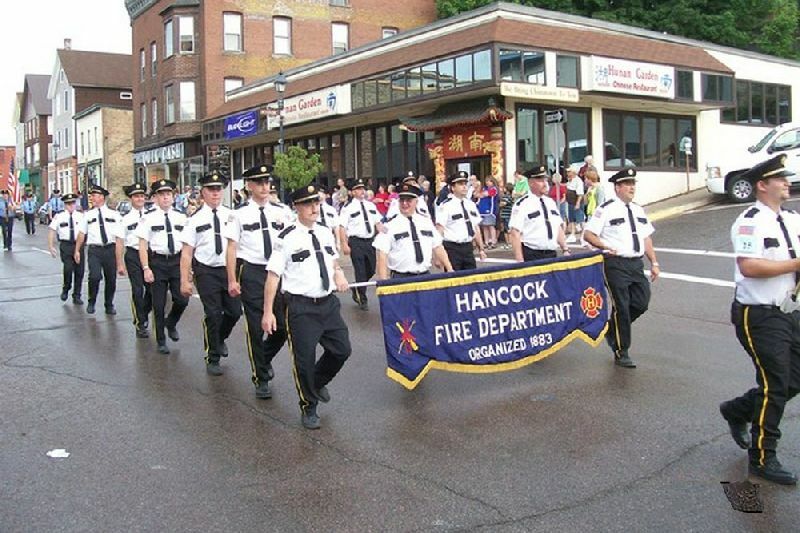 A dress parade was held Thursday evening, with a large number of Volunteer Fire Departments (VFD) on hand to meet and compete. Here, the city of Hancock VFD unit. 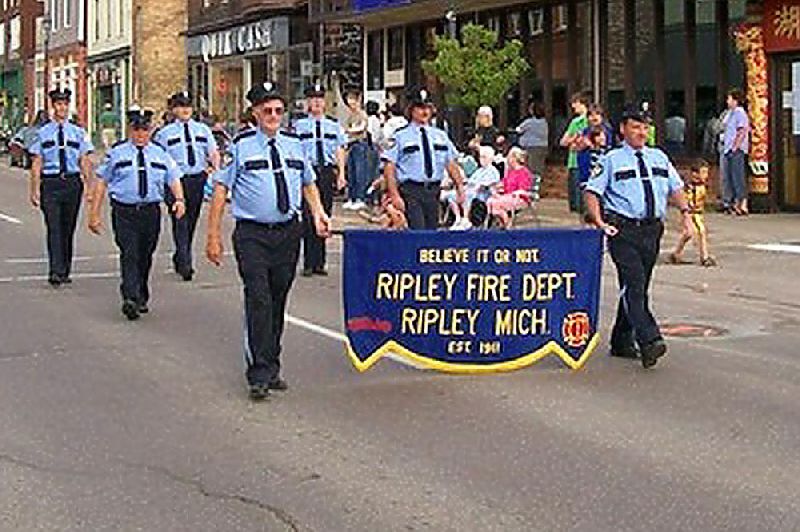 And from “next door”, the Ripley VFD. 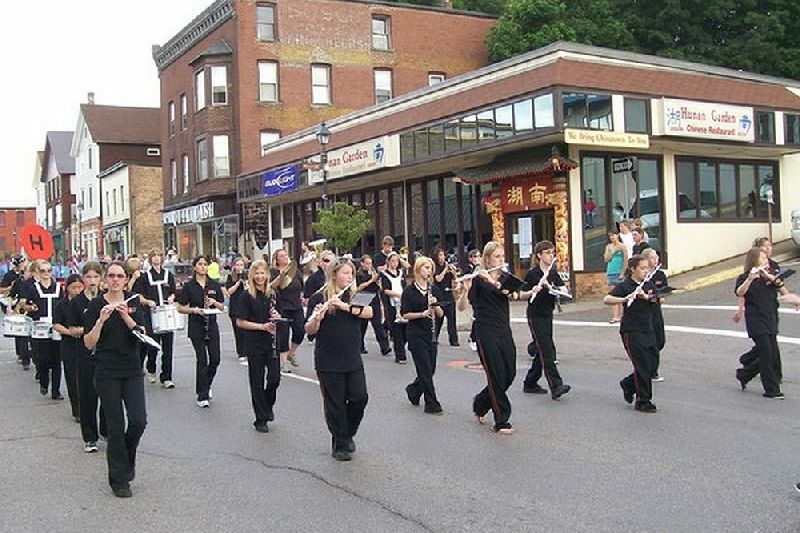 The Houghton High School Marching Band. 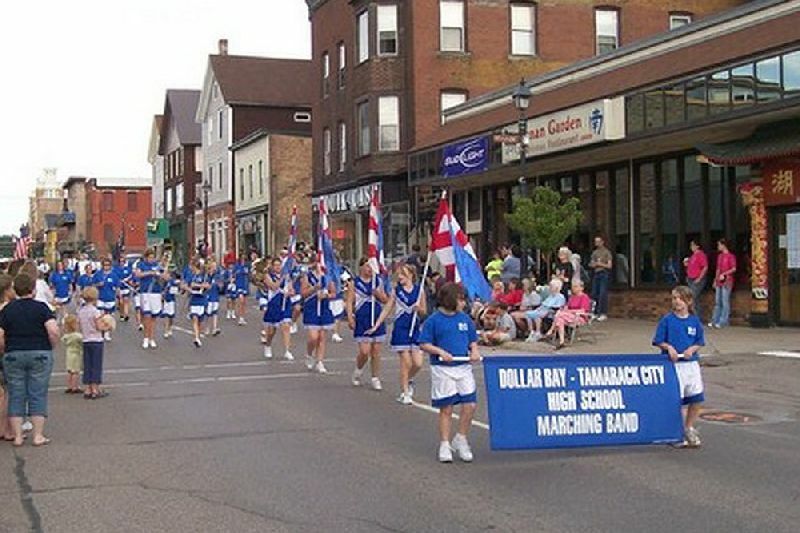 The Dollar Bay/Tamarack City High School Band. 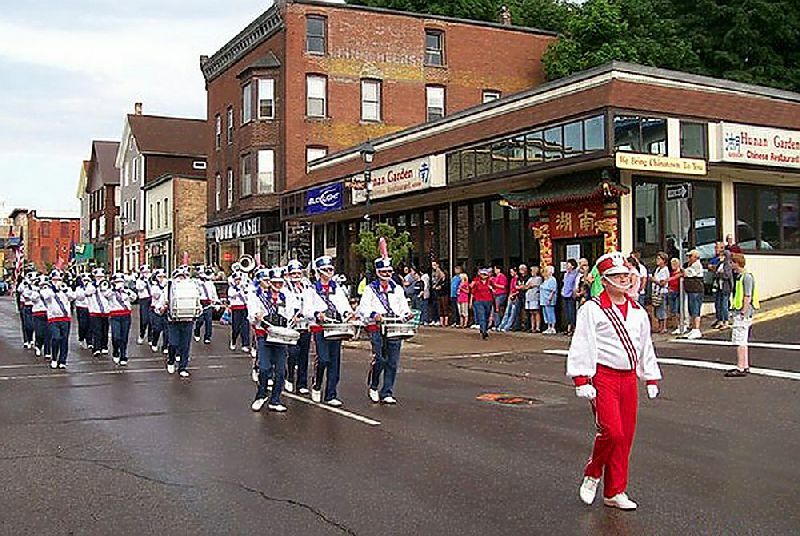 Hancock High School’s Marching Band. The Ishpeming Blue Notes Band. A Revolutionary Period group from Ft. Wilkins State Park. 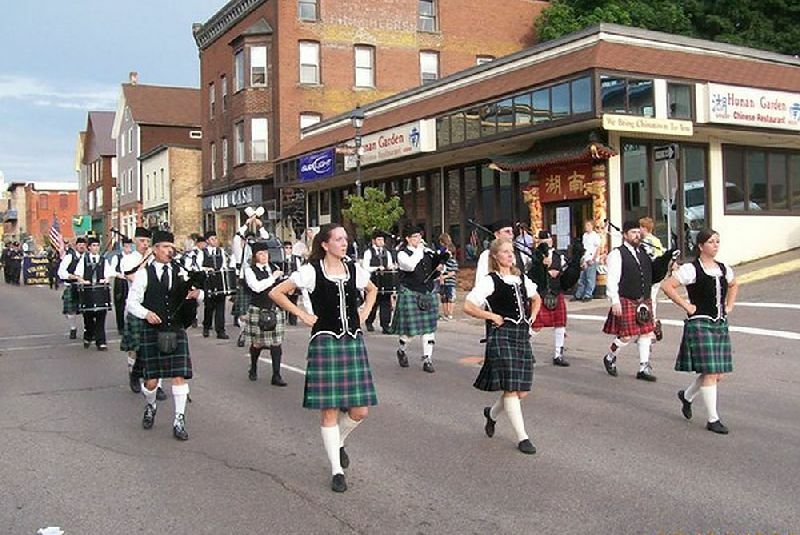 The Superior Pipes and Drums Unit.. A night shirt parade was held later in the evening. 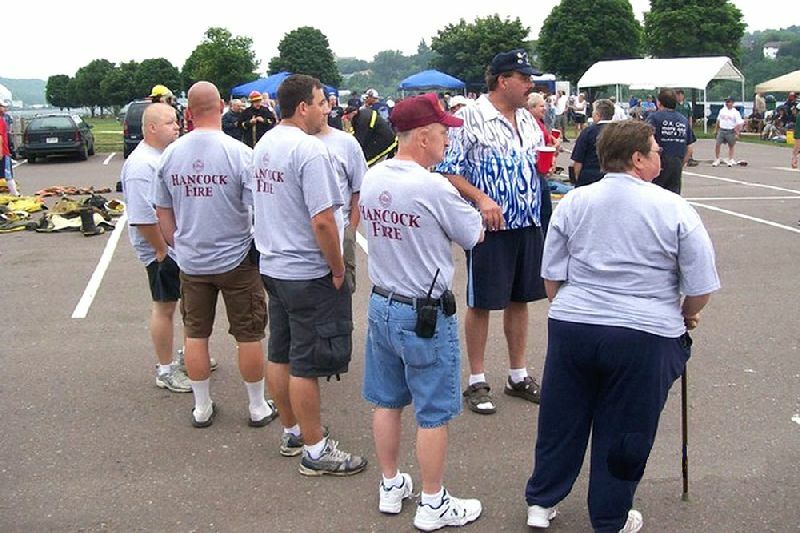 Hancock’s finest get ready to take their turn in the Racing Events on Friday. On the starting line’, ready to compete in the ladder climb event. 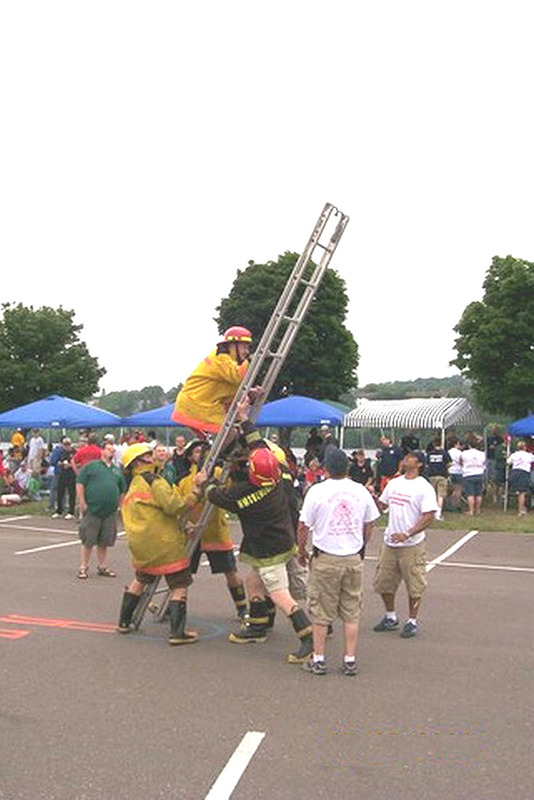 Heading for the top, as other members erect and support the free standing ladder. The Tournament Ball was held Friday evening at Dee Stadium. 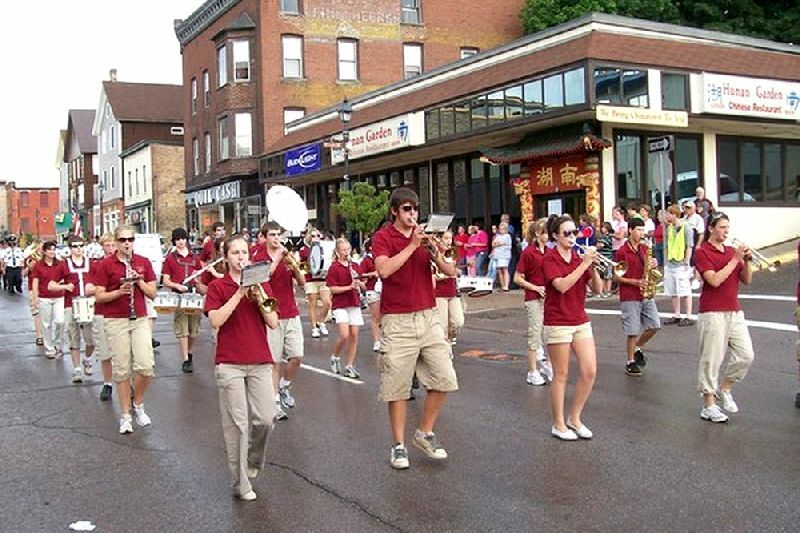 A commercial parade was held on Saturday morning.